The fusion concert featuring famous alpenhorn musician Eliana Burki, guitarist Christian Winiker, Lao Khaen musicians Odai and Sin, dance performances by FangLao Dance Company. The event was organized by the Embassy of Switzerland, through the Swiss Cooperation Office for the Mekong Region. “The Swiss Agency for Development and Cooperation are honoured to have allocated a 1% budget to promote cultural programmes through the Cultural Fund for Lao People, focusing on expression, information exchange, practices and uniqueness,” said Mr Tim Enderlin, SDC’s Director of Cooperation Laos and the Mekong Region. “Today, I am honoured to bring you all the performance of the Lao-Swiss wind and sound, which is both a music show and a dance ensemble. 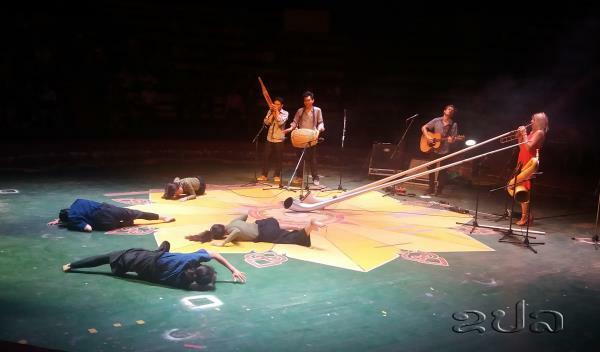 This cultural exchange is a relationship between artists in Laos and Switzerland,” said Mr Tim Enderlin. In 2017, Khaen was listed as a world cultural heritage by UNESCO. 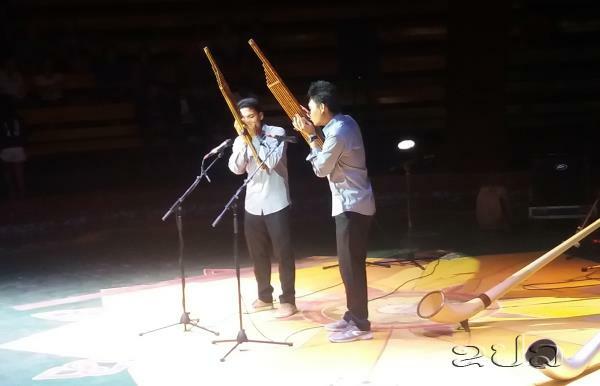 “When talking about Alphorn, I will remember Eliana Burki right now, because she is a famous musician who has performed successfully in many countries, including Europe, America, South America, Asia, and today in Laos, Eliana Burki has become a cultural diplomat from Switzerland,” said Enderlin.